This is a complete Emergency First Aid Kit fully stocked with high quality medical supplies. It’s designed to help save lives, not just treat cuts and abrasions! It includes a CPR mask, an emergency blanket, instant ice pack, trauma pad, nitrile gloves, a rescue whistle mini Compass and 144 other quality items. Be prepared for anything. This is the same First Aid Kit we include in our Emergency Survival Kit. Keep one in your bug out bag, vehicle glove box and home medical cabinet for quick access. 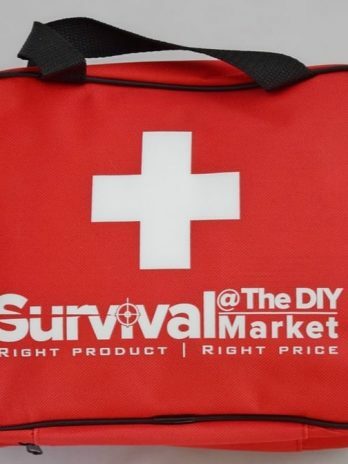 This is a complete Emergency First Aid Kit fully stocked with high quality medical supplies. It’s designed to help save lives, not just treat cuts and abrasions! Accidents happen. Thankfully most are minor. But auto accidents, serious falls, electrocution, drowning and suffocation also occur all too often. Survival depends on three things, the right help at the right time with the right tools. Our first aid kit is so comprehensive, we even include a first aid manual to help you make the right decisions if you have not had the benefit of doing a structured First Aid Course. Totaling 150 carefully selected items, all securely packed in a 600 x 600 denier waterproof carry bag. Don’t be caught out in an emergency. Keep a first aid kit at home and in your vehicles. I always had trouble finding the perfect-sized first aid kit to buy. I wanted something that I can keep in my glove-box but that ‘does the job’. Some first aid kits are too big, which meant there is not enough space to put other things. On the other hand, some of them are too small. These too-small kits did not have everything I needed. But this kit met my expectations. Not only is it perfectly sized, its design is also well thought out with lots of water tight pouches so you can find anything quickly. The material used is soft so I can squeeze it in-between spaces, if need be. When you first see this kit, you may end up thinking you need something more. I saw a picture of this kit next to a regular-sized plate. The two were extremely similar in size! While reading the description, I was pleasantly surprised with what was included but I still had doubts. So I bought this kit when it was on sale. I am happy to say that this not only met my expectations but it surpassed them. 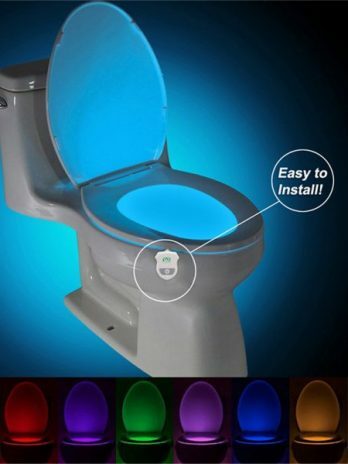 I would be happy recommending this to others, especially those who I know don’t have one. I have just recently decided to put together an emergency disaster kit. One of the first things that came to mind was a first aid kit. First off, I wanted something that had all of the basics included. I am not very experienced in first aid, so having everything in place is very helpful. I also wanted something that could work in various situations. Where I live, we have storms quite often, so I wanted a kit with items for such emergencies. This kit works well for what I need.